Purple Flash is the new 2014 Texas Superstar pepper joining the ranks with NuMex Twilight, which was designated a Texas Superstar in 2009. 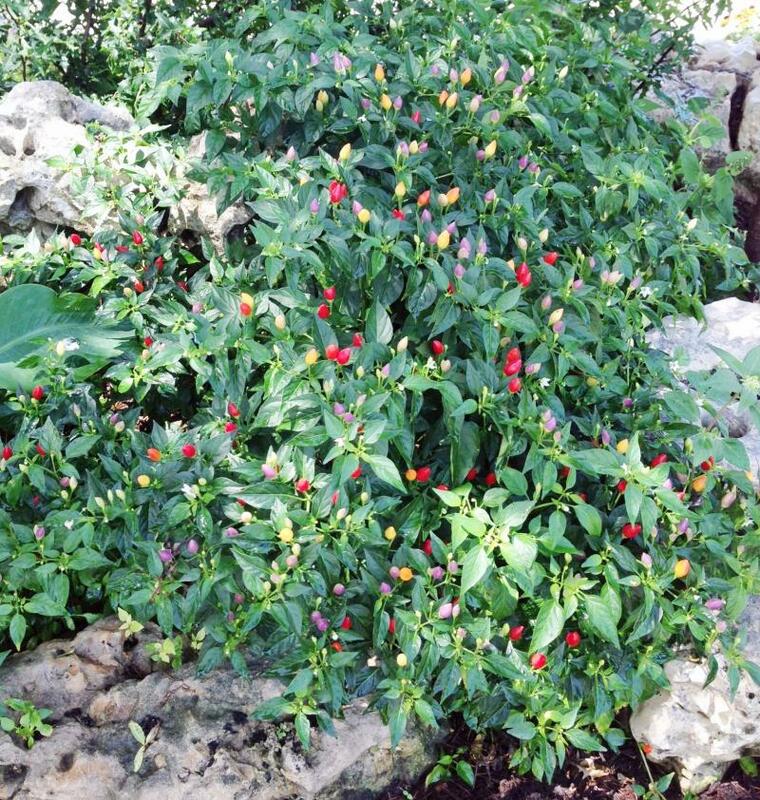 Both Texas Superstar pepper plants can add interest to your porch, patio or landscape with their colorful peppers, flowers and foliage. What is really intriguing is the varied shapes of ornamental peppers. These peppers have their name because of their amazing beauty and allure. A striking feature is the location of the pepper itself, growing upright and sticking out above the foliage to add to its attraction. Now, I'm not talking about your veggie garden peppers, like bell peppers or jalapeno peppers because ornamental peppers are not typically eaten. The ornamental peppers add color and interest to your hot summer landscape, much like a lot of the colorful, ornamental Swiss chards and kales do in the cool season. There has been more and more of a push to add edible plants to our landscaping, and ornamentals add variety in texture and color as well. What is also nice is that these pepper plants - although they are warm or hot season annuals - can last through the fall and into the winter with the seeds collected and planted the next spring. The Texas A&M Aggie Horticulture website, Aggie-horticulture.tamu.edu, recommends tasting the ornamental peppers carefully because they can be extremely hot and/or bitter and just not juicy, spicy or tasty. On the Scoville scale, which indicates the hotness of a pepper, the bell pepper is rated at 0 and the jalapeno, the state pepper of Texas, is rated anywhere from 2,500-8,000, depending on growing conditions. There is also a mild jalapeno variety called TAM with a rating of 1,000-1,500. When planting ornamental peppers, keep children and pets in mind and be sure to handle them carefully yourself. Somehow, I feel my eyes burning just writing this article. Capsicum annuum, NuMex Twilight, was developed at New Mexico State University in 1992. 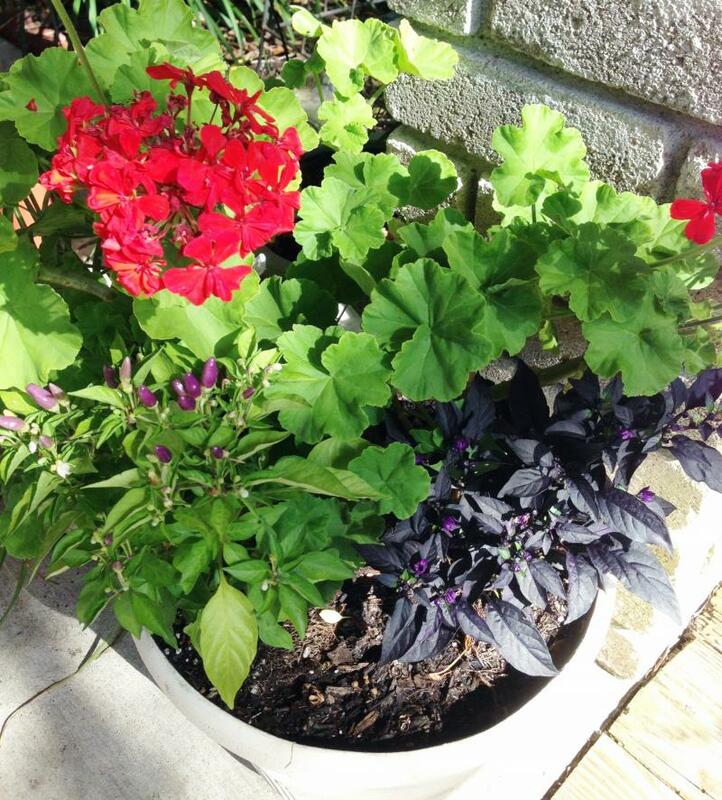 The various fruit colors enhance its value as a pot plant. 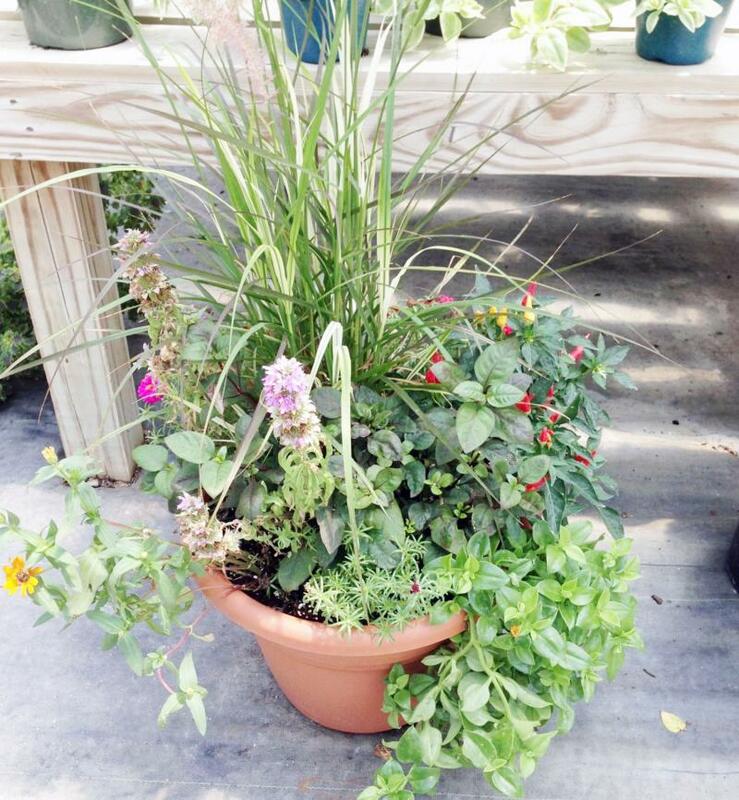 The plant typically grows 12 inches tall when grown in pots and 24 to 30 inches tall in the landscape. The pods grow upright on the plant, with each plant having scads of small fruits less than 3/4 inches long. The green leaves show off the colored fruits as they ripen from white flowers to purple, then yellow to orange and lastly to red peppers in about 70 days. NuMex Twilight would make a nice gift for anyone in Texas, so if anyone asks you what the best ornamental pepper is for anywhere in Texas, this is one. 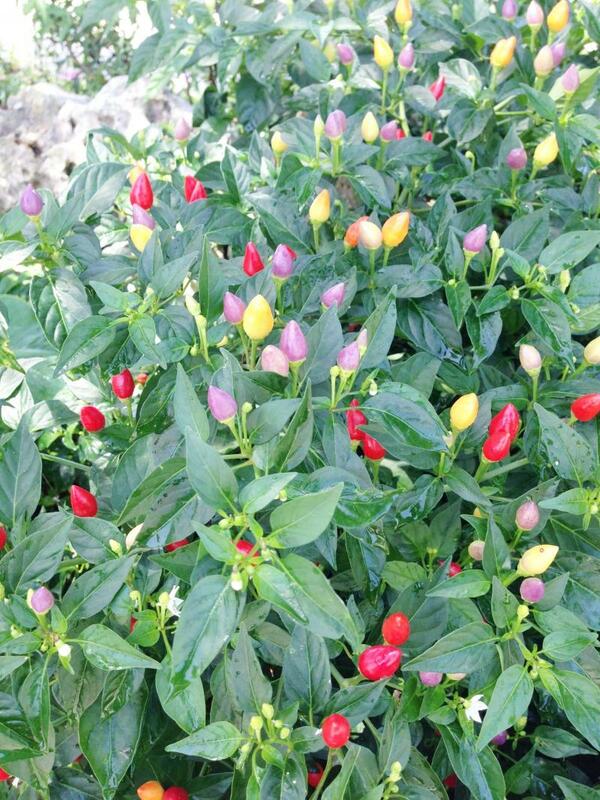 This plant would make a nice Christmas gift with its peppers shaped like colorful, old-fashioned Christmas lights. While peppers are annual plants for many in Texas, some are able to grow them like perennials. A nice thing to do with the peppers is pickle them and use the colorful jars for decoration, unless you're brave enough to try the hot juice. 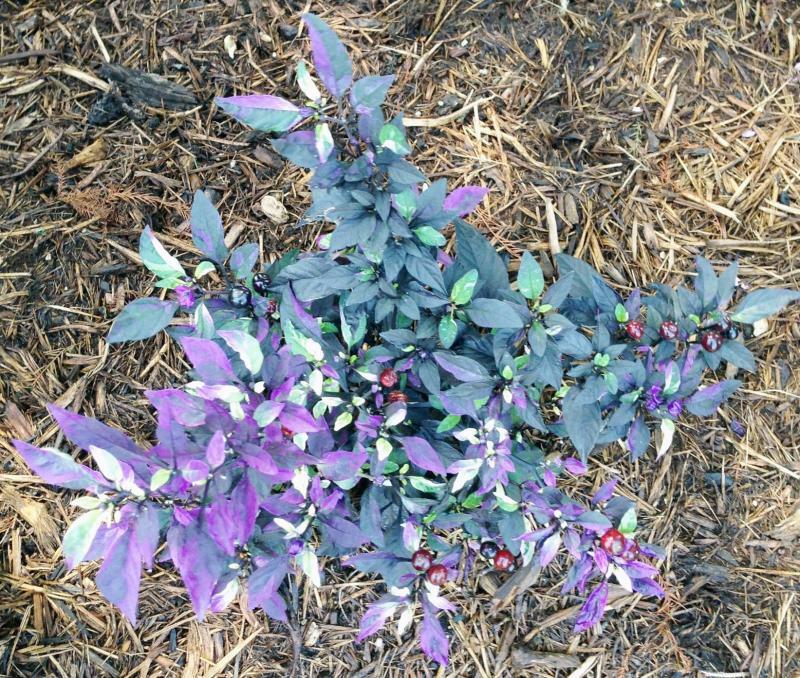 Capsicum annuum, Purple Flash, has fantastic foliage with new leaves having flashes of white, green and purple on almost black leaves. Although it stays darker in the shade, it is even flashier in full sun and even thrives in the heat. It is compact and mounding in the landscape and in a container grows to about 15-by-15 feet. The flowers are purple and develop into black, pearl-like fruit which will eventually turn red and dry up. Since they are drought-tolerant, they are a good choice for combination container plantings with other plants that require little water. Black Pearl - A favorite of many gardeners with nearly black leaves and pearl-shaped black peppers. Rooster Spur - The hottest fire-engine red, 2-inch long, slender, curved pepper with small, tight green leaves. Calico - It has variegated leaves like Purple Flash but pointed peppers instead of round. Chilly Chili - The coolest of the pointy peppers turning yellow, orange and red, with pointy leaves. It was fun shopping for ornamental peppers on a hot day in July and comforting to know that the Texas Superstar program has selected the best for Texas and helped to make the decision for me. Why don't you try the flashy Purple Flash or the bright NuMex Twilight and enjoy for yourself? The Gardeners' Dirt is written by members of the Victoria County Master Gardener Association, an educational outreach of Texas AgriLife Extension - Victoria County. Mail your questions in care of the Advocate, P.O. Box 1518, Victoria, TX 77901; or vcmga@vicad.com.., or comment on this column at VictoriaAdvocate.com. • WHERE: Dr. Pattie Dodson Public Health Center, 2805 N. Navarro St.